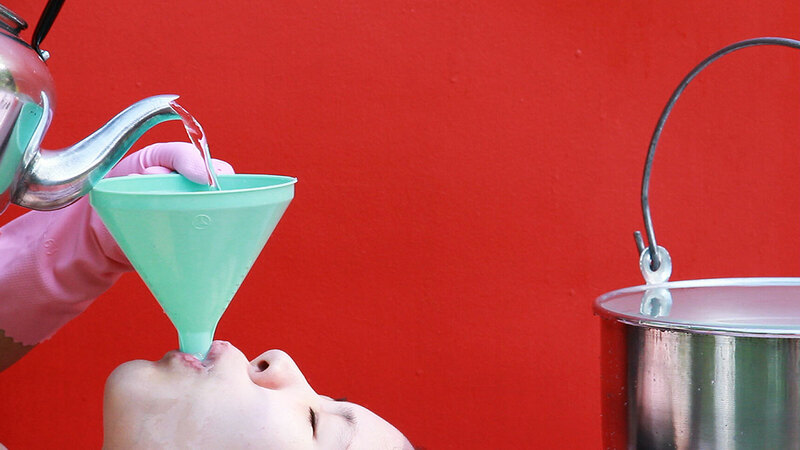 To accomplish each of these tasks, Vatanajyankur’s body blends with the tool it mimics. 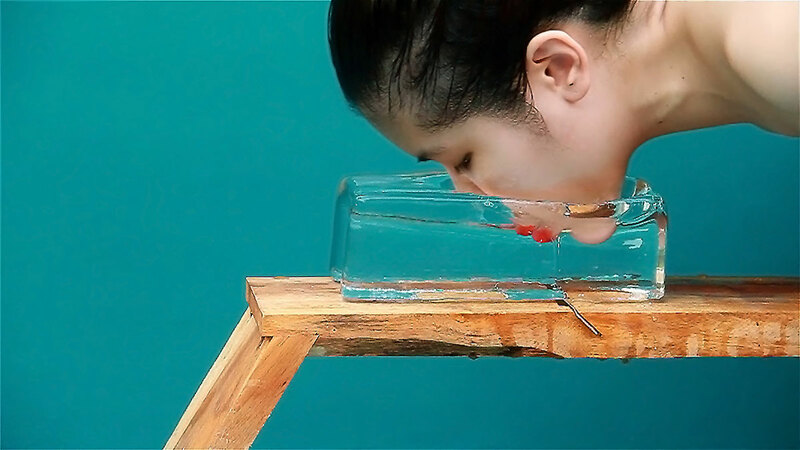 In the sixth and definitely one of the more disturbing tasks the artist has set herself (The Ice Shaver, 2013), we observe her face-down in a solid brick of ice, using her nose, lips and chin to move it like some cruelly designed mandolin. Watch for a while and you’ll feel your own lips freeze. On first viewing The Basket, you’ll note the artist’s deft landing but stay a while to watch the subtle grimaces on the face of the older woman in hair curlers who’s holding the receptacle and with her, feel the weight of that body. Kawita Vatanajyankur’s work can also be seen at Stills Gallery, which represents her, in Sydney until 13 February. She has posted other work, The Robes and The Dustpan, in Vimeo.